Re: Help identifying leaf symptons. 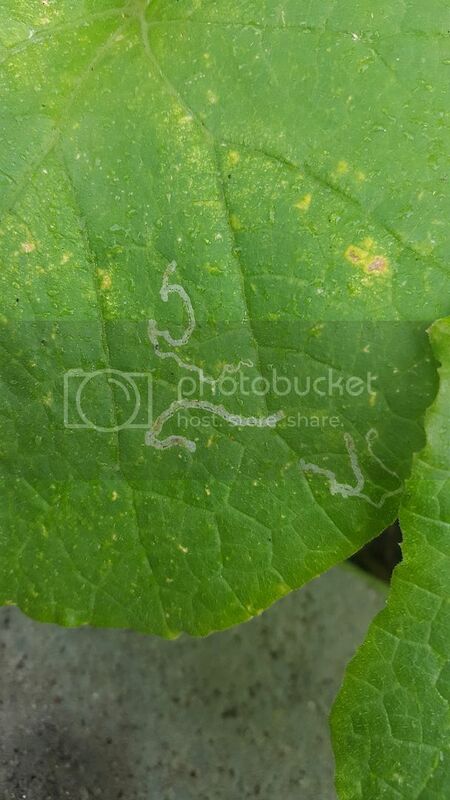 Squggly line are leaf miners. It is a larvae of a fly. They cause mostly cosmetic damage. Squish the bug at the end of the trail before it takes off. 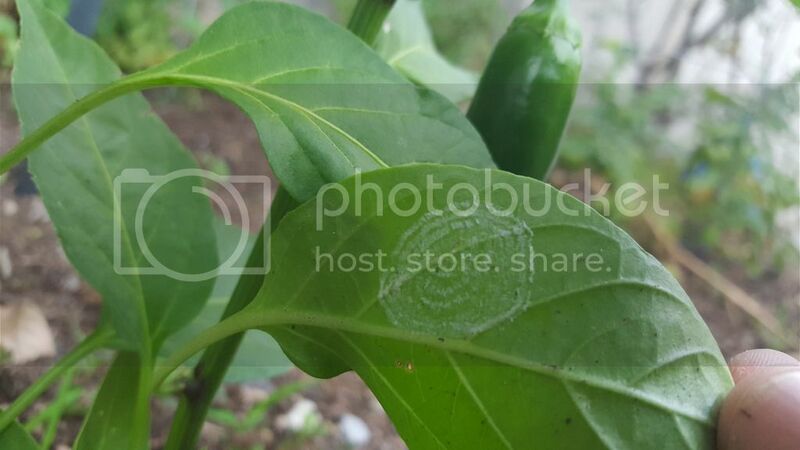 The sprial white circle under the leaves are white flies. The adults will be flitting about. Lady bugs are predators. Hose off the leaves with a jet of water. Adults will fly off so you will have to do this repeatedly. Straight up alcohol works too. Remove and destroy all severely infested leaves. Check other plants in the area white flies have multiple hosts. The purple ladybugs seem to like white flies more than the spotted ones but they both will eat them. Lacewings are also predators. Whiteflies are cyclical depending on the population of their predators. imafan26 wrote: The purple ladybugs seem to like white flies more than the spotted ones but they both will eat them. Lacewings are also predators. Thanks! My local hardware store actually sold the spotted kind. I picked up like 1500 bugs for 7 bucks. Lol. I'm not meaning to hi-jack your thread! What would be the best time of day to use the water-based treatments: early morning or evening? Or!? This extra question might be off topic, but I'm going to throw it in, sorry! What about milk sprays or baking soda sprays for fungal/disease protection? Should those types of sprays be sprayed in sunny conditions in order to work? Thanks everyone. Really liking g this forum. So much knowledge and so willing to help. Thanks again guys.